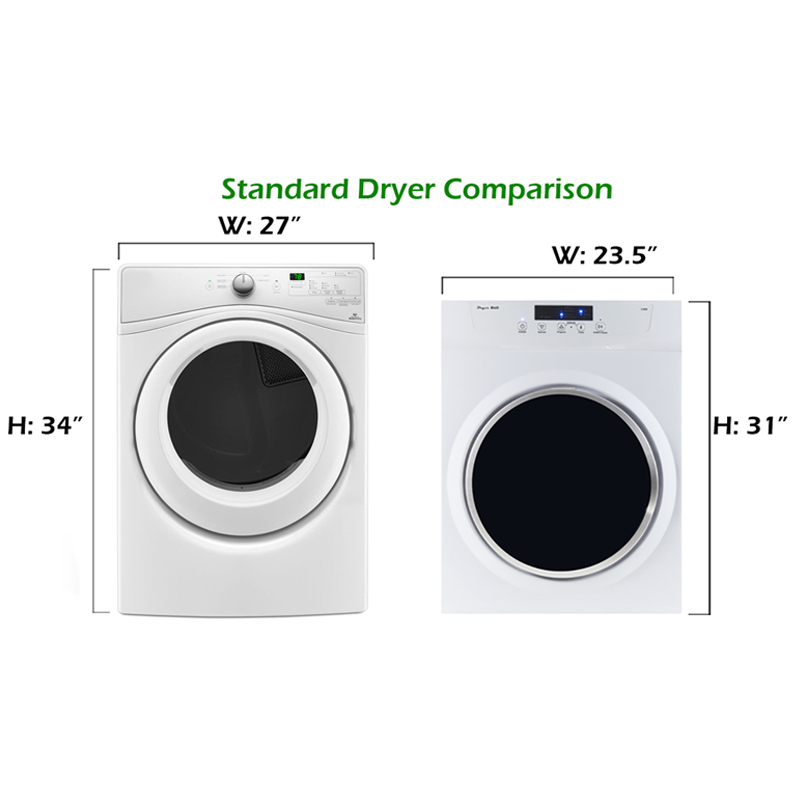 At just 32.3 x 23.6 x 22.3 inches (HxWxD) and 3.5 Cu. 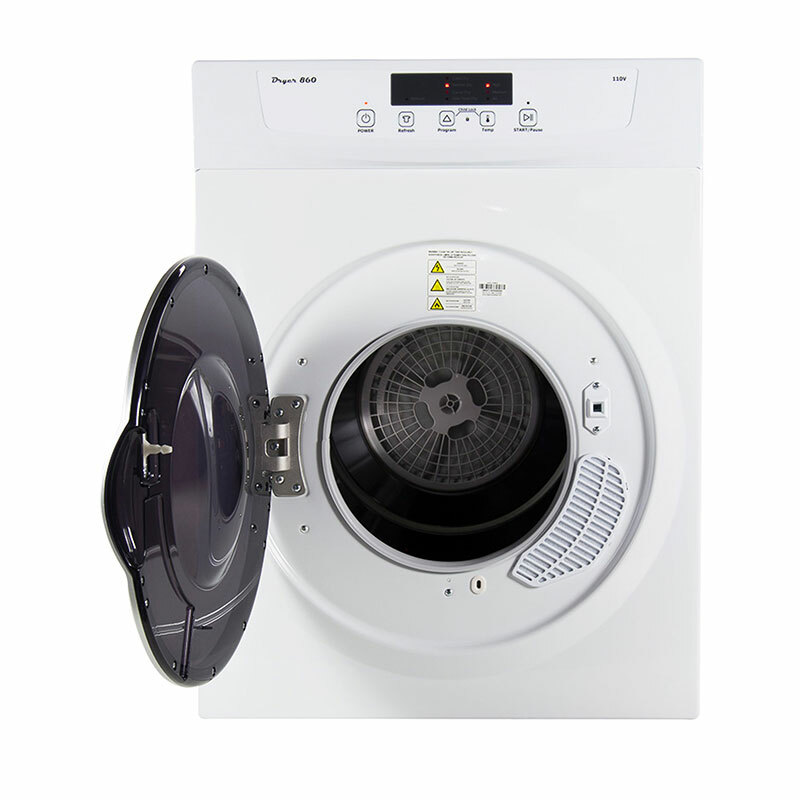 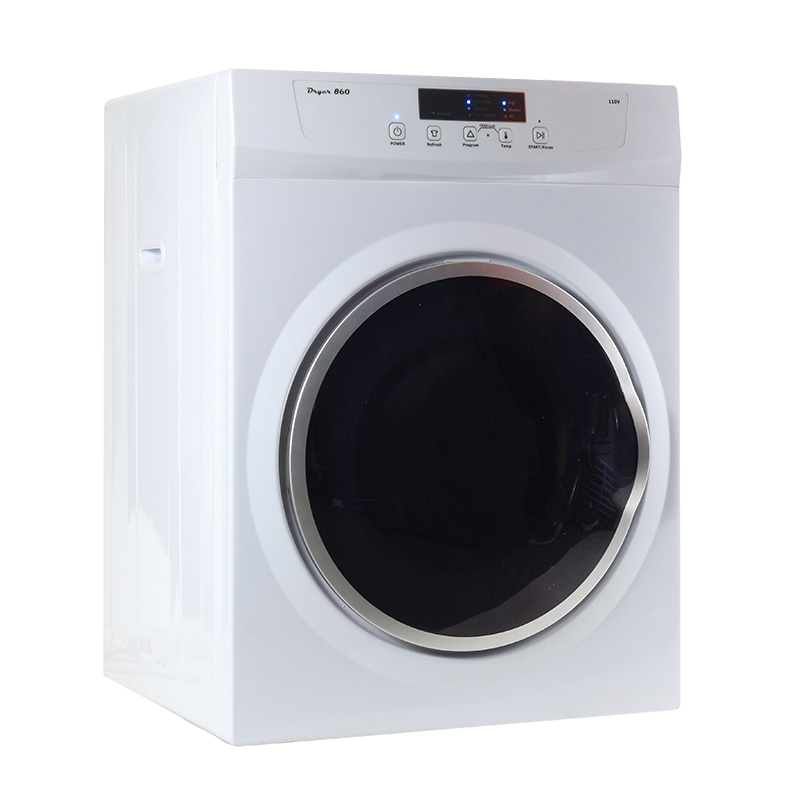 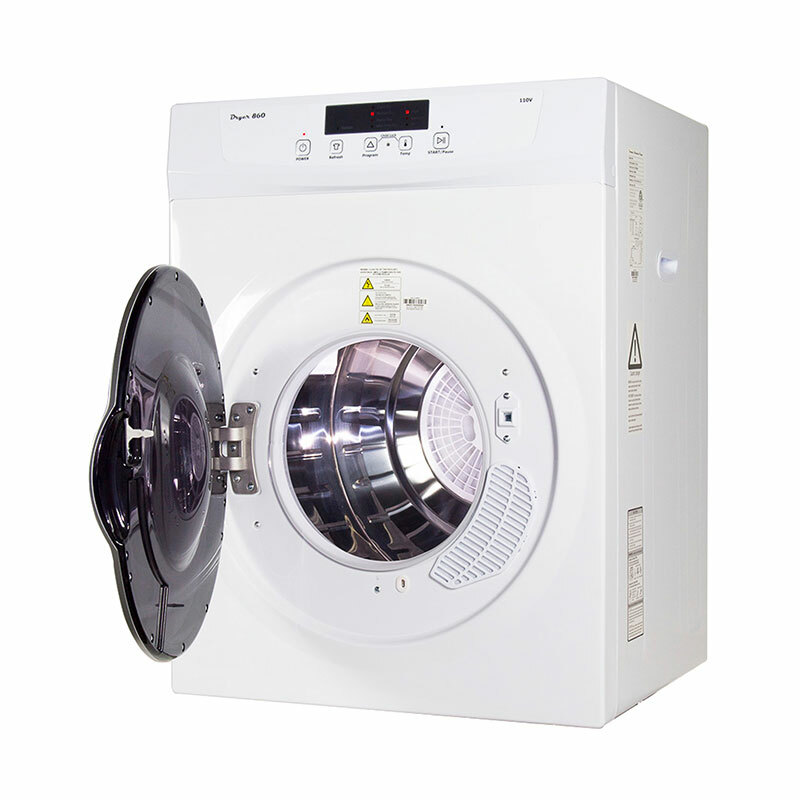 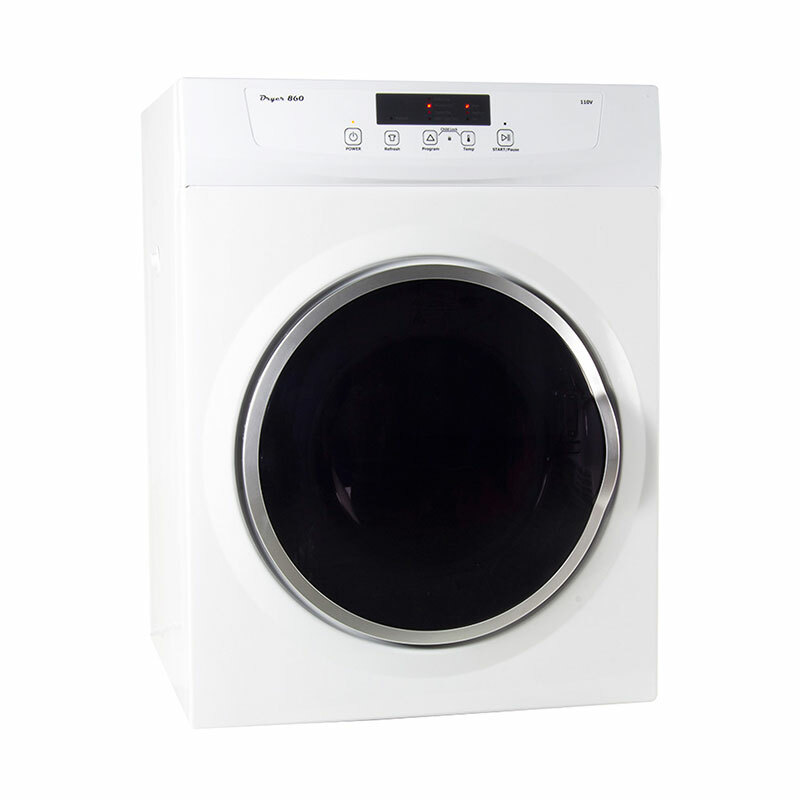 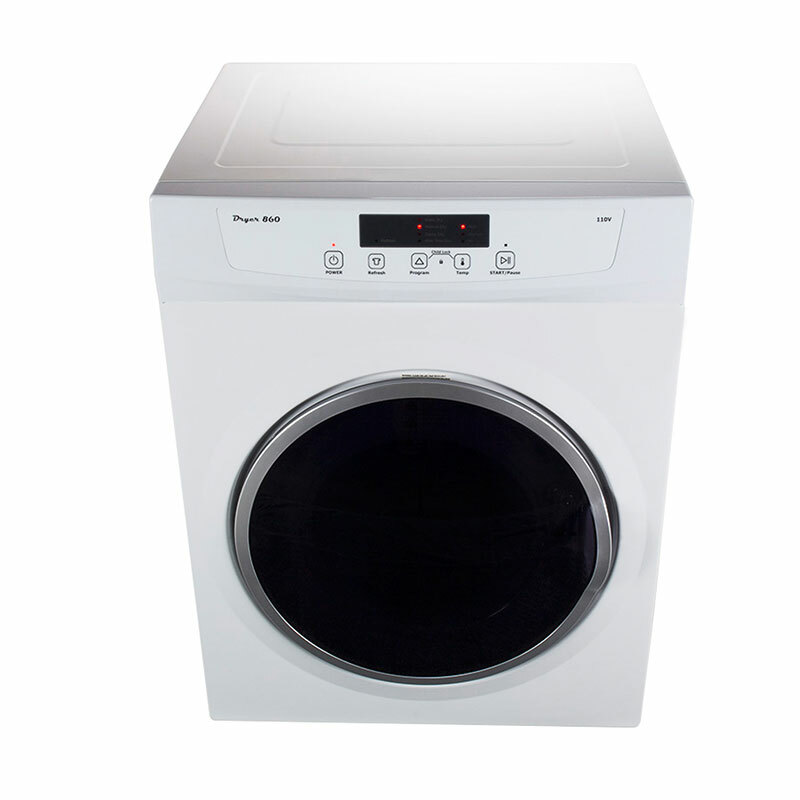 Ft., DD 860V Compact Standard Dryer is a perfect fit for your home and your life. 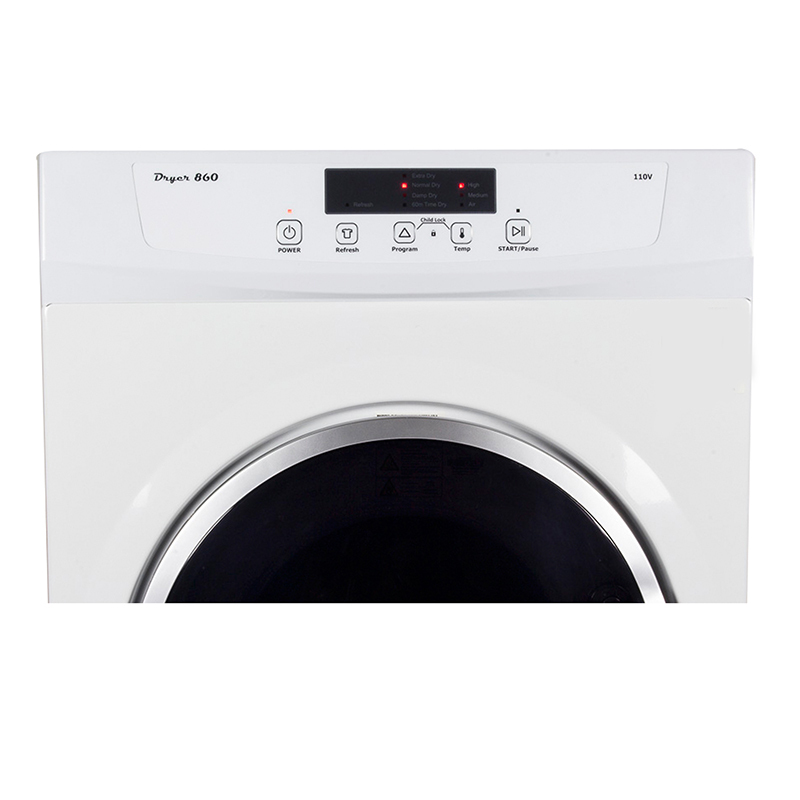 The sleek, stackable vented dryer boasts a variety of innovative features, all in a design just a fraction of the size of typical dryers.Families across North America love the DD 860V’s ability to pause on command, protect against wrinkles, and provide child-lock protection. 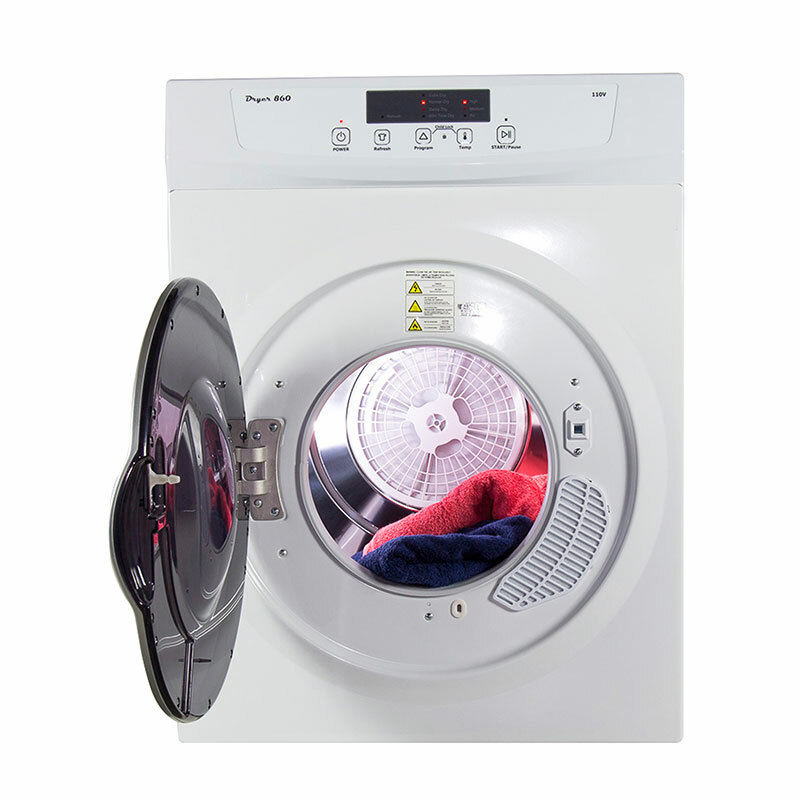 The dryer also features a 180-degree door swing, high-speed turbo fan, refresh function and overheating protection to make drying a breeze. 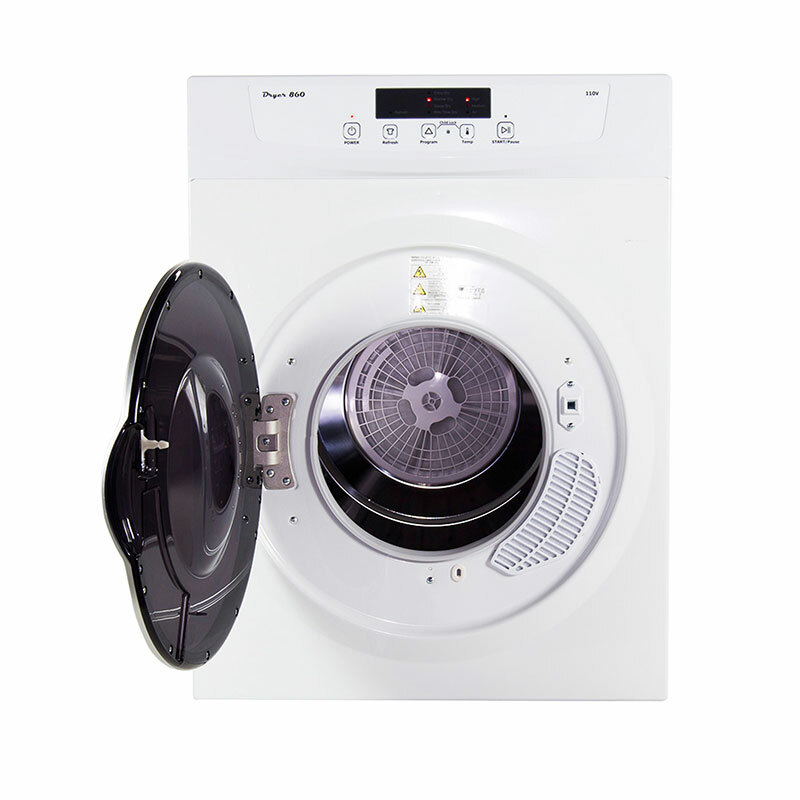 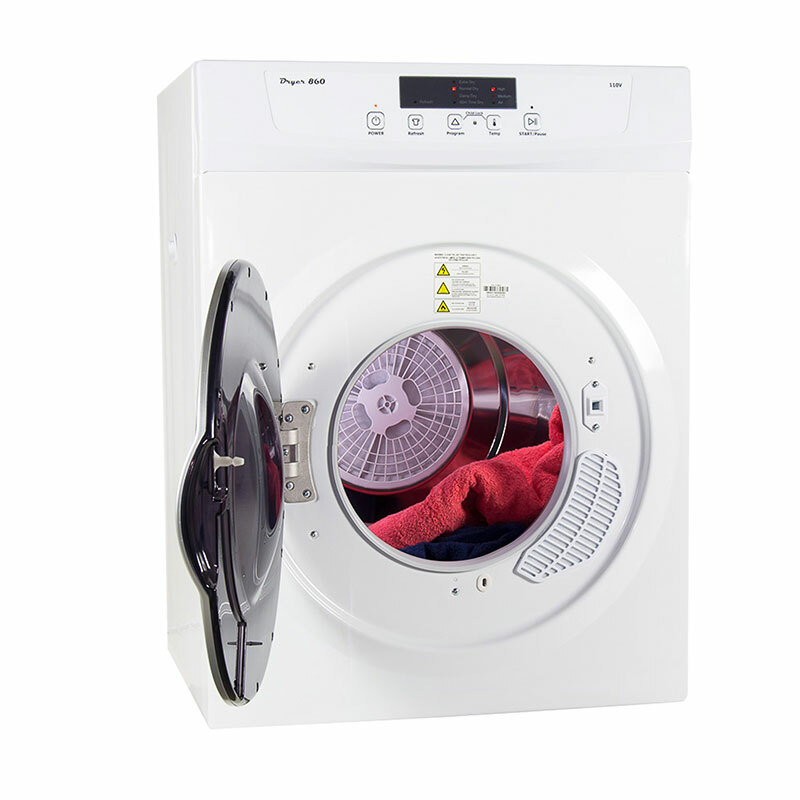 The DD 860Vcomes equipped with 3 programmable levels of sensor drying to match your preferences. 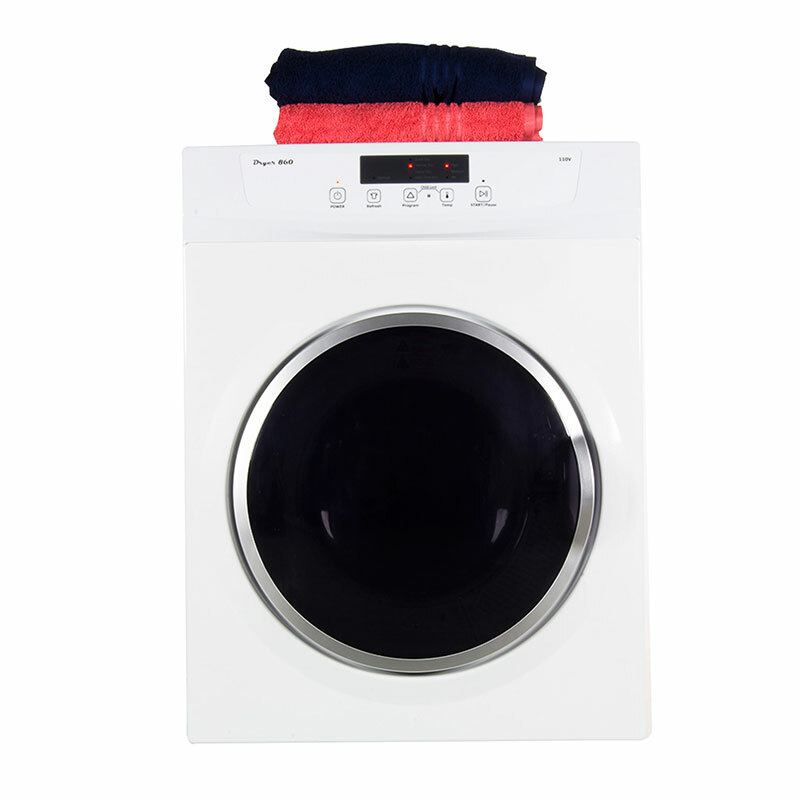 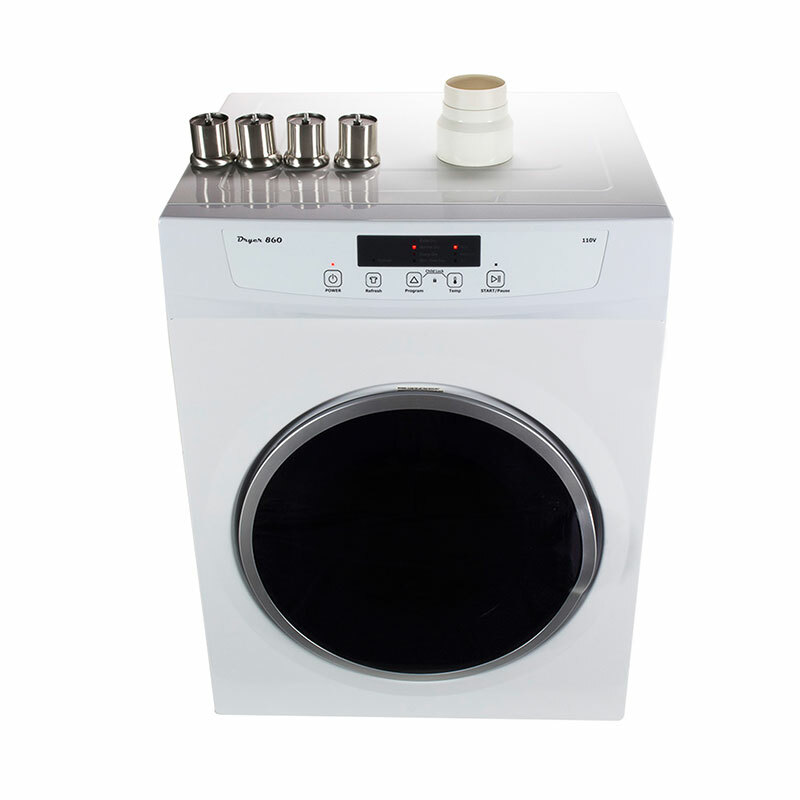 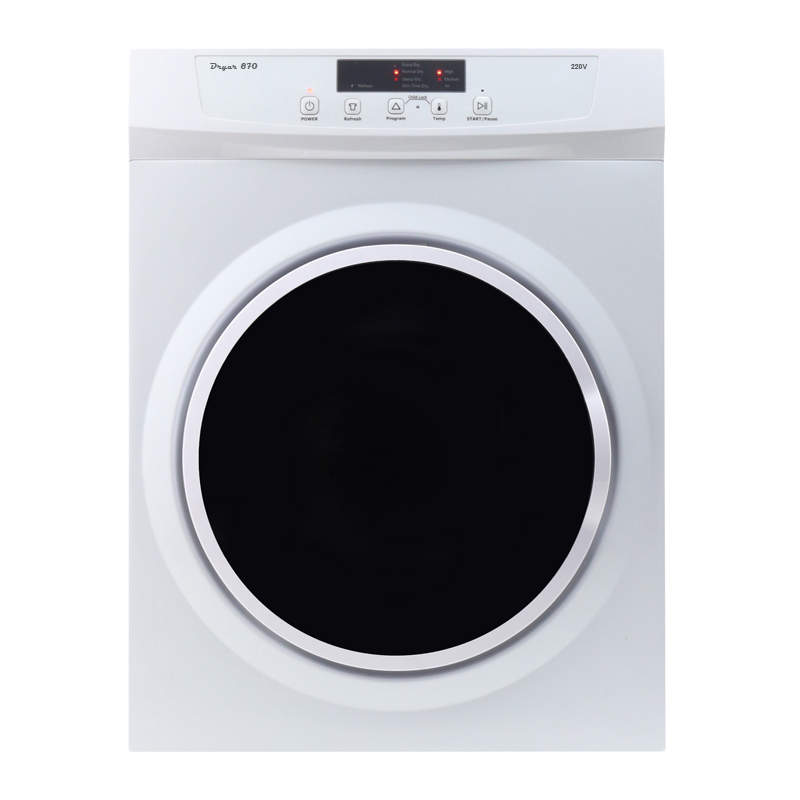 Its white premium finish with silver trim makes a modern statement, and it can be easily raised up to 2.25 inches to match your washer’s height.